1995… It was the year of Oklahoma City bombing, launch of Yahoo!, Windows 95 upgrade, Nasdaq climbing over 1000, and the acquittal of O. J. Simpson. It was the 50th anniversary of the dropping of the atomic bomb, the announcement of DVD format, and the launch of eBay. But for me it was a year of newly reborn music. It was the commercial success of electronica, the acceptance of IDM as a genre, the underground warehouse parties, and the letters PLUR smudged on my sweaty wristband. In this article, I wish to commemorate the year of 1995, remembering the monumental albums and the artists that continued to build up on the foundation of electronic music. My purpose is to honor the contributions that still retain their quality and the position on my playlists. Take a look and see how many of these albums are in your collection. Pay attention to the currently well known names that had their first debut back in 1995 – I will highlight them in dark blue (note: only counting full length albums – many artists had a bunch of singles here and there). And, if after reading this article you dust off a few CDs or even 12-inchers, then my task has been accomplished. I arrived into January of 1995 with a buzzing hangover of a previous year. In 1994, Orbital released its third album, Snivilisation reaching #4 on UK Album Charts, while The Prodigy hit #1 with their second Music For the Jilted Generation. The two albums are still very dear to me. At the end of 1994, Plastikman swept me off my feet with Musik and Recycled Plastik, while Global Communication chilled me out with 76:14. And who can deny the importance of the timeless and influential classics by The Future Sound of London – Lifeforms and ISDN. 1994 was a great year, and perhaps deserves a detailed exploration in itself. But I’ll restrain myself, and return to the main topic. The blurbs that follow are not in any chronological order, and I’ll rattle off the names as fast as possible, attempting to sweep the entire year of my adventures in electronic music. In 1995, we were introduced to Chemical Brothers with their debut album, Exit Planet Dust, released on their own sub-label of Virgin Records, Freestyle Dust. Speaking of new labels, Mike Paradinas has just founded Planet Mu, while releasing his third album, In Pine Effect under his µ-Ziq moniker on Astralwerks. The latter American pseudo-indie label (owned by Virgin/EMI), was still at the center of electronic music (most notable for continuing its afore-mentioned FSOL output), but already losing some of the artists to a UK-based up-and-comer, Warp. Founded back in 1975, Astralwerks was able to secure Time To Find Me single by Seefeel, while giving up their second full length, Succour, to the six-year-old Warp. Astralwerks still had heavy contributions with Freaky Chakra’s Lowdown Motivator, Massive Attack’s Protection (and No Protection with Mad Professor), and Global Chillage by The Irresistible Force. Ah… but Warp was pumping out some of the most groundbreaking sounds! Let’s have a proper start: Autechre. After the previous year’s Incunabula and Amber, the duo released a double disc, Tri Repetae++ along with the Garbage and Anvil Vapre EPs. These are still at the top of my play list! The Booth and Brown duo along with a roster of friends, contributed Key Nell EP as Gescom on Skam Records. There, Bola enjoyed his debut 12″, simply titled 1. Back to Warp. The prolific Richard D. James churned out …I Care Because You Do and the Donkey Rhubarb EP as Aphex Twin, Hangable Auto Bulb as AFX, and Universal Indicator Green on his own Rephlex Records. A quick collector’s nod to The Sabres Of Paradise’s Versus and Sabresonic II albums; Nightmares On Wax’s second Smokers Delight; and The Black Dog’s third excellent Spanners. It’s also important to point out that Boards of Canada’s album, Twoism, by now already appeared on their very own Music70 label, way before the duo got signed to Skam and Warp. Meanwhile Speedy J’s G Spot appeared on both, Warp as well as Richie Hawtin’s owned Plus 8 Records. Seems that Hawtin must have been pretty busy running his own label, since he was only able to squeeze out a single track, Call It What You Want! and a Mixmag Live! mix for Moonshine Music. Moonshine commemorated its Speed Limit 140 BPM+ series with a 7th volume and a Classics wrap up. This West Hollywood based label also pushed some acid house compilations with their United DJs Of America series with appearances by Josh Wink, David Morales and Frankie Knuckles. There were also Ibiza Afterhours, The Trip Hop Test, The Acid Jazz Test, and the United State of Ambience compilations. And yeah, OK, Keoki released Caterpillar EP and his second We Are One album, but we’ll pretend that I didn’t really mentioned that here, right? Meanwhile Paul Oakenfold mixed up A Voyage Into Trance and a Perfection mix for his very own Perfecto label; there, Oakenfold signed Brian Transeau (BT) for his debut IMA; and Tiësto brought us Forbidden Paradise 3 and 4 trance mixes. While progressive trance was sweeping up the club scene, and an occasional college dorm room with Robert Miles‘ hit single Children on the radio, I found myself gravitating towards the darker styles of hard and acid trance. Among my treasured vinyl, till this day, remains a complete discography of Noom Records with a favorite Are Am Eye? by Commander Tom. Oh, but then Time Unlimited oozed acid with Nostrum, DJ Energy and Roughage. The highlight of the hard acid trance movement has to be the Dutch X-Trax label with its super banging Trippin’ Out track by Misjah & Groovehead and Access by DJ Misjah & DJ Tim. Even now I drool at the thought of a screeching 303. There were also gems from Prolekult (sublabel of Hooj Choons) with Trope’s Amphetamine and Baby Doc & The Dentist’s Tales Of The Seraphim. Meanwhile Union Jack gave us the collection of previously released 12″ singles in their There Will Be No Armageddon first full length, with the all time favorite Red Herring track on owned Platipus Records. Speaking of Platipus, Simon Berry (one half of Union Jack) delivered an excellent UK acid trance offshoot under his other alias, Art Of Trance. That year, Platipus records has also introduced us to Poltergeist, Quietman, and Salamander to name just a few, and began exploring the psychedelic and Goa styles of trance. Which brings me to DJ Yves‘ Bonzai Megamix. Belgian Bonzai Records explored the genre with Jones & Stephenson, Yves Deruyter, Cherry Moon Trax, Axis, and Insider. Meanwhile, West London-based, Transient Records brought us Fahrenheit, Cosmosis, and Disco Volante, again, just to scratch the surface. And here are some more notables: Astral Projection released their first EP, Mahadeva; Simon Postford released his very first debut, Twisted as Hallucinogen on Dragonfly, while co-founding TIP Records and dropping the first compilation CD, Yellow; Juno Reactor was already on their third album, Beyond the Infinite on Blue Room Released, along with Total Eclipse’s debut Delta Aquarids. And who could forget Koxbox’s debut Forever After on Harthouse! Whew! Almost the great birth of psytrance here! Dragonfly also shared their releases by Man With No Name with Oakenfold’s Perfecto which also tried its hand at goa with The Infinity Project, Tilt, and Virus. Outside of the vinyl shop, the bins in the corner of a CD store marked with an ambiguous “Electronica” housed a selection of more recognized names across less understood crossed-over genres. 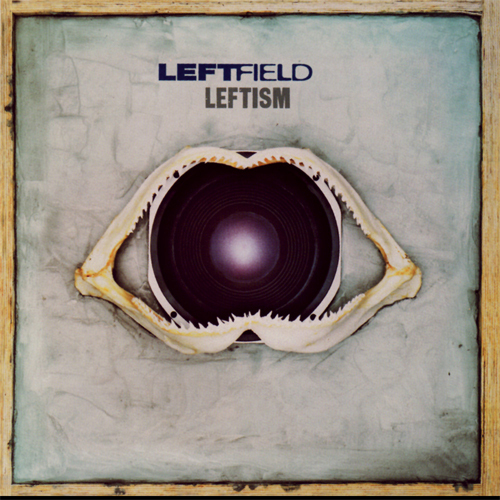 Leftfield essentially pioneered a genre with their debut Leftism. The Orb led the commercial evolution of ambient with Orbus Terrarum. Tricky pushed trip-hop with Maxinquaye; Asian Dub Foundation blended breakbeat and dub with their debut, Facts And Fictions; while Goldie led the mainstream drum’n’bass with groundbreaking Timeless released on ffrr. All are still, no doubt, my favorites! Mouse On Mars released their second album, Iaora Tahiti and DJ Krush his self-titled debut LP Krush, on Shadow Records. Somewhere in the back of this less known section you could find A Recipe For Disaster by DJ Food, and the debut release by The Herbaliser, Remedies, both put out on Ninja Tune, which was only on its 20th catalog release. The label was quickly becoming a home to Coldcut (its co-founder), Funki Porcini, London Funk Allstars, and Up Bustle & Out. The up-and-comer DJ Shadow had only a couple of singles on Mo Wax, while Amon Tobin had his first Curfew EP on NINEBARecords as Cujo. The “other” mainstream representative was Moby with his third studio album, Everything Is Wrong – but his re-sampled-house piano, radio vocals, and the facts on animal experiments got too old too quickly. On the ambient, experimental and minimalist front, The Higher Intelligence Agency released their second LP Freefloater; Klaus Schulze released In Blue; Steve Reich composed City Life; Robert Fripp put out a couple of live recordings; Tetsu Inoue collaborated with Uwe Schmidt on Flowerhead and Mu, plus Second Nature with Bill Laswell; and Stars of the Lid debuted with Music for Nitrous Oxide. Somewhere in Germany, Ulrich Schnauss was only known by his alias View To The Future with his first self-released 12″, titled Broken. And sound design duo Pan Sonic (originally called Panasonic) sprang forth with Vakio, as Ryuichi Sakamoto delivered Smoochy. Aaah… Now I can breathe. The great 1995 in just ten paragraphs! It’s not possible to cover it all! I know I missed a lot of great albums. I didn’t dig too deep into British drum’n’bass or jungle, although I do own Adam F’s Circles 12″ and Roni Size’s debut with Music Box. There was of course, 4 Hero’s Mr. Kirk on the beloved Sm:)e Communications which also released a couple of circular-saw-shaped records by Steve Stoll – still have ’em! Oh, and Air Liquide’s The Red and Black EP – mine is still shrink wrapped! And of course the Acid Resistant compilation mixed by DJ DB!!! Regrettably, I wasn’t big on Detroit’s minimal techno, Chicago house, or Rotterdam’s gabber (although I do own a nice set of ID&T’s Thunderdome compilations). I’m sure I left out more than a few notable mentions. But by now I’m out of breath. So I turn to you. What did I forget? Drop me a line or a comment, and I’ll be sure to add the names to this write up! So how many of these have you not heard? How many of these do you still listen to? I hope I got you excited about some of these albums again – I promise they’re worth revisiting! Originally published by Headphone Commute in August 2008. Revised and updated on July 2012.